We used to have a projector in our family room, and we made good use of it. It wasn’t the best example, and since it used a color wheel, you would often see color artifacts any time your eyes darted across the screen. This made it very unhandy for playing video games, and when the bulb finally went out in it, I decided to wait and upgrade to a better projector instead of replacing it. Enter the Epson Home Cinema 4010 4K 3LCD Projector. Suddenly our big screen aspirations have taken a turn for the serious. 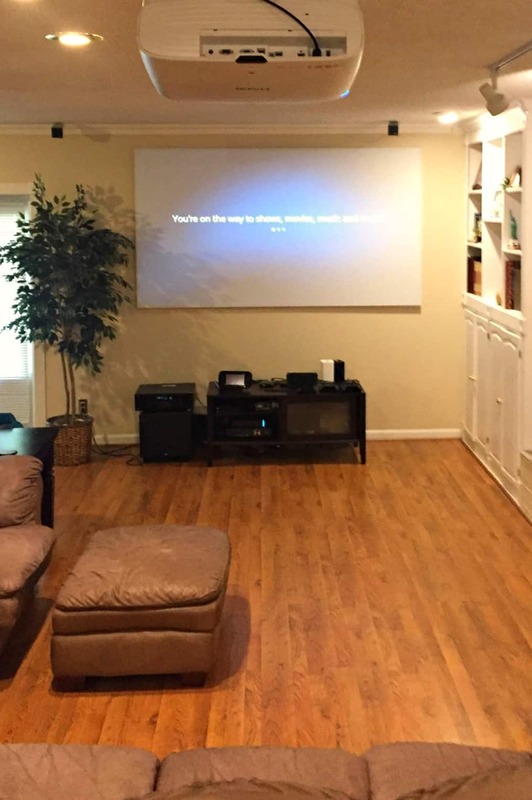 This projector has everything you could ask for in a quality home unit, and then some. When you look at the specs for this beast, it is easy to see why the Epson Home Cinema 4010 is such an outstanding unit. The HDFR technology provides for an expanded contrast and color range of the projected pixels. The result is a more natural picture, especially when combined with its Rec.709 cinematic color capabilities. Flesh tones are remarkably flesh-colored, and desert scenes, such as those on Tatooine, are a robust color range. Even Red Shirts, as they prepare to meet their destiny on their next (and final) away mission, are correctly rendered and not overly colorful. This capability makes all the difference in the world if you are forced to project at hard angles, such as mounting the projector from a high ceiling or floor level. Keystone correction accounts for the geometry issues when you have to point the picture down or up to the desired target display. In such a situation, you will find that the image is angled, with both sides “leaning” inward. Keystone correction allows you to quickly correct the issue with a few presses on the remote, and with plus or minus 30 degrees of correction you can have the projector mounted at some large angles and still have everything look just right. While I did not have the need for such an extreme correction in our setup, it’s great to know that the capabilities are there in case the need arises. The projector throws out a bright image, one that you can watch in the daytime with the drapes open and not miss a thing. But if you do go for a darkened room, you will be amazed at the picture quality that echoes every nuance. With the lights slightly subdued, the sharp picture allows you to become completely absorbed into the experience. The vibrant colors and details pull you into the illusion, leaving you enjoying the experience. Our last projector would be disruptive because of the color artifacts that would take you out of the moment. This is no longer a problem. I can’t say enough about this feature, and I sincerely hope that any future projectors I own have such a capability. With Lens Shift, you can finetune the position of the image all from the comfort of your conveniently-included remote control. 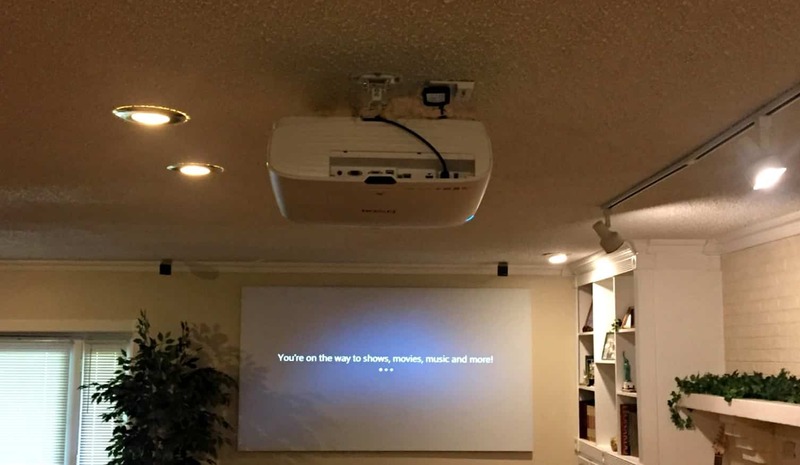 Now, I am not sure how many of you have experienced mounting a projector on a home ceiling. But let me tell you, even the best of mounting setups are subject to slight movements as you go about the business of hooking everything up. Sometimes the mount itself will shift a little over time, thanks to the natural movements of the house. In the past, having the image land exactly where I wanted it to on the wall mounted screen meant pulling out a small ladder and readjusting the projector mount. But with Lens Shift, you just press the buttons as needed to pinpoint the image on the screen. As you do, you can hear motors on the projector moving the lens and locking it in place, all without changing the projector itself or its mount. It’s a beautiful thing to picky people when it comes to positioning a projected image. The Epson Home Cinema 4010 4K 3LCD Projector has the pixel pedigree to delight any demanding home video perfectionist. A projector’s pixel resolution becomes a big issue (literally) when those pixels are thrown up on the big screen. The end result is that the pixels are magnified, and any jaggedness or missing details become amplified in the process. With the Epson Home Cinema Projector, everything still looked crisp. I could even throw my laptop screen onto the display and have no problems reading even the smallest of text. I have a portable projector for laptop use, and I can only wish that it had the pixel resolution of this unit. This is especially good news when you consider that the projector is rated for 50″ – 300″ viewable screen size. With a screen that large, you will appreciate every one of those pixels. It’s not often that you find dual switchable HDMI inputs right on the projector itself, but the Epson 4010 includes precisely that. This could be very handy for many different setups where you do not want to bother with an external selectable port arrangement. It would also be handy for any equipment that you wanted to mount on the ceiling along with the projector. 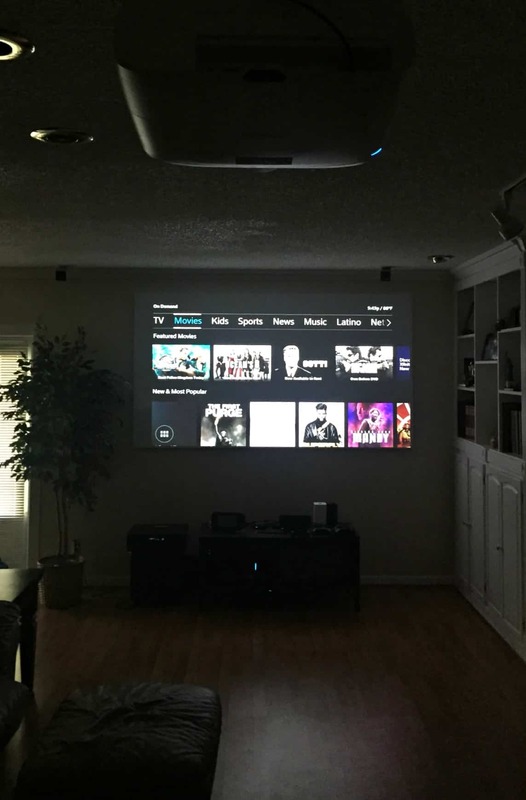 For example, I toyed with the idea of putting an Apple TV on the ceiling mount along with the projector, connected to the HDMI 2 input. This would make it easy to Airplay anything by merely switching the projector input. In the end, I did not do this because of my sound setup, but it would certainly have its uses. The projector has a wide throw ratio range, allowing you to experience a wide image in a variety of projection distances. The picture is going to look right no matter how far away you are from the screen (within reason, of course), but it would be a shame to not give this projector a little room, at least 10 feet or so, to show off what it can throw on the screen for the space. The 250w lamp in the Epson 4010 has a very respectable service life. The lamp will last for 5,000 hours in ECO mode, which will give years of average home use. If you decide to crank it up to regular mode, you’ll find that you still have 3,500 hours of lamp life to keep you happy and in the picture. I’ve been around projectors with a loud fan, and it can be very annoying. 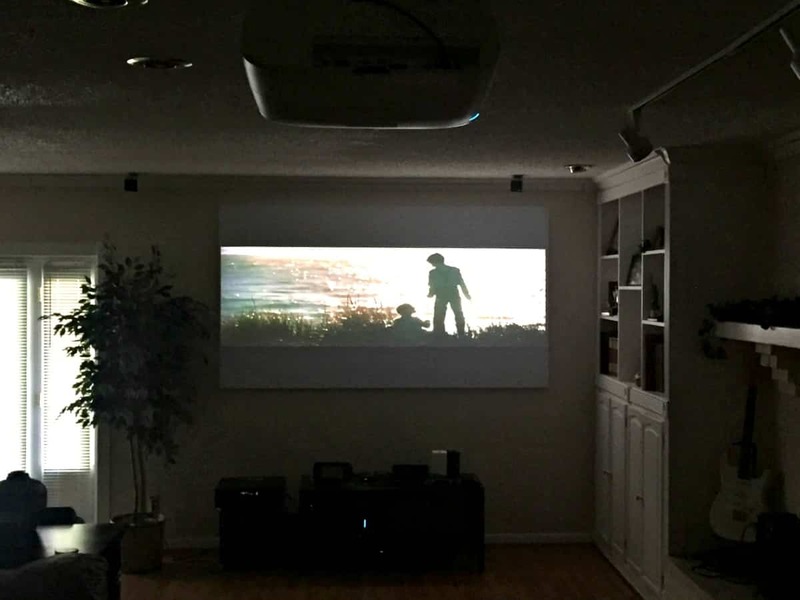 Many times the projector ends up directly overhead the viewing audience, which means that the fan sounds are perfectly positioned to be heard by the users. With a fan noise of only 20-31 dBA, you can easily forget that this projector is even in the room. I have a roughly nine-foot ceiling, and the sound from the projector completely disappears during regular use. This is a significant improvement over our previous projector model. I consider myself to be the big screen aficionado in the family, but now it seems that my title may be in peril. My son loves playing games on the projector, especially now that there are no color artifact issues. The very nature of intense grudge matches – which seems to happen a lot in our house – means that your eyes are continually darting across the screen while you watch for your opponent. This was the perfect scenario to notice the color wheel image issues, and it was very distracting. My wife loves it for watching movies. Suddenly we have a bright, colorful and quiet way for her to enjoy her favorite flicks, and she takes advantage of it when the time allows. I have a surround sound speaker system, along with a good subwoofer, and she claims that the overall package makes it much more like the theater movie experience. It really is the ultimate in a home theater. Now shut up, get her some popcorn, and start “The Greatest Showman” already. But when it comes to sports, there is a straightforward axiom to remember – bigger is better. When you have twenty-two players on the field at a time, the increased pixel count of the Epson 4010 makes all the difference in following the action. You can follow the ball clearly, without any guesses. 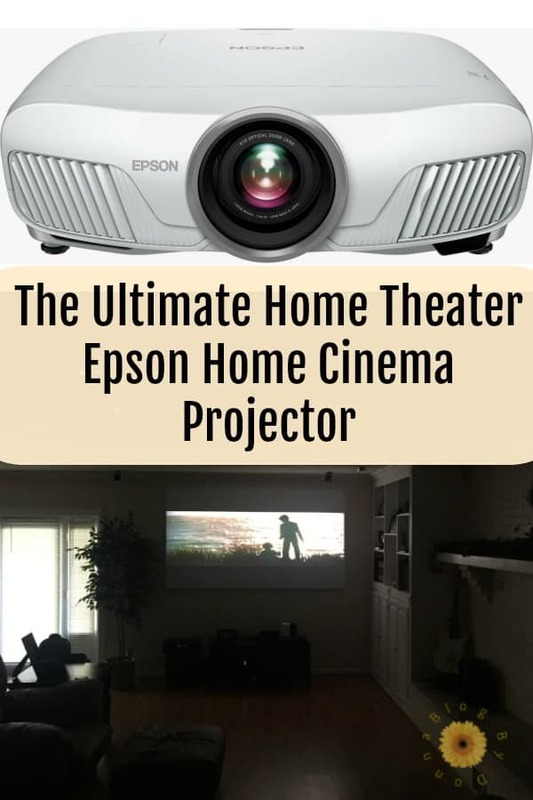 If you are looking for a home projector to add to your home theater, you will find that the Epson Home Cinema 4010 4K 3LCD Projector from Best Buy is a tough act to beat. I haven’t even touched on many of its other features, such as 3D support and network options, but trust me when I say there is something for everyone. Now you will have to excuse me, there is a ball game coming on that I don’t want to miss, and after that, I have a score to settle on Halo. My son is going down this time, I’ve been practicing on the big screen.